Hyundai has confirmed that the Ioniq electric car will be updated this year. If you think that sounds a bit soon to be updating such a new car, you’d normally be right. The Ioniq, though, is coming up to its second birthday, even though it only went on sale in Australia late in 2018. The four-door, five-seat battery-electric Ioniq is set to score an external facelift as well as an increase in its battery range. It’s currently rated at 230km from its 28kWh battery, but Hyundai Australia officials have confirmed to WhichCar that the figure will lift to 400km. The range extension will match Hyundai’s incoming Kona Electric SUV, as well as sibling rival Kia’s inbound Niro. Hyundai has all but confirmed that it will only offer the long-range option of the Kona locally, which features a 64kWh battery and a claimed 470km range. It uses a different style of battery array (known as a skateboard platform) to the Ioniq, which stashes its batteries under and around the rear seat area. Hyundai wouldn’t confirm how the extra range would be obtained, though documents online suggest the pack's capacity could be increased to 38kWh. Tesla’s (currently unavailable) Model 3 Standard, by way of comparison, has a 50kWh battery and a claimed range of 350km. 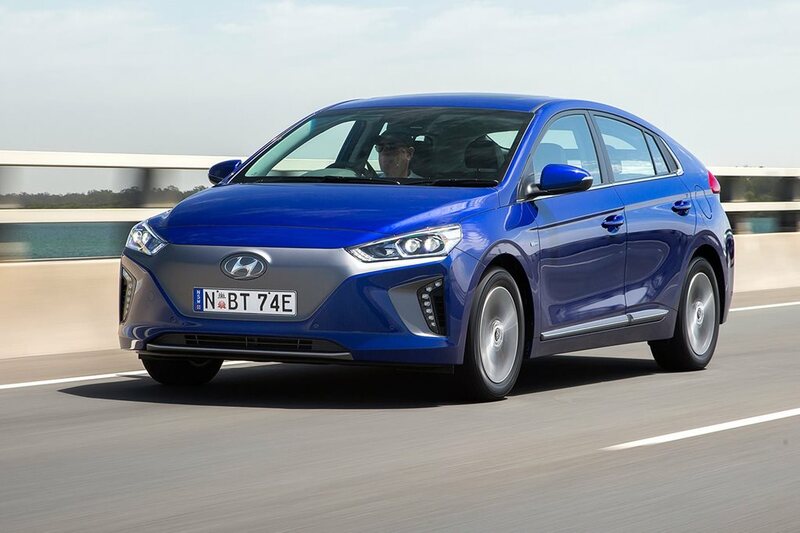 It’s also anticipated that the Ioniq will receive a nip and tuck to its front and rear bumpers and light arrays, as well as an updated interior treatment. Thomas told WhichCar that the Ioniq has been selling well, with the company selling all the cars it can order. Hyundai offers the Ioniq in both battery electric and plug-in hybrid guises. The electric-only Ioniq costs $44,990 for the Elite and $48,990 for the top-spec Platinum. An 88kW permanent-magnet synchronous motor delivers a peak of 295Nm in Sport mode, and 265Nm in Normal or Eco modes. It can be charged to 80 percent capacity in just over 20 minutes with a 100kW DC charger, or about four and a half hours via a wall-mounted 7kW AC system that can be installed in a garage.